DEBRA IN THE NEWS: The Chicago Association of Realtors (CAR) is among the largest and most respected realtor association boards in the country. Each year CAR recognizes its elite realtor members, the ‘best of the best’, by bestowing the Top Producer award on those realtors who rank in the top 1% for sales production. As part of the Chicago business community since 1883, The Chicago Association of Realtors represents a diverse group of realtors who work together with their neighbors, community groups, schools and elected officials to make Chicago a place you want to live, work and play. Once again, marking the 11th year in a row, Debra Dobbs has received this prestigious award recognizing her status as one of Chicago’s top realtors. 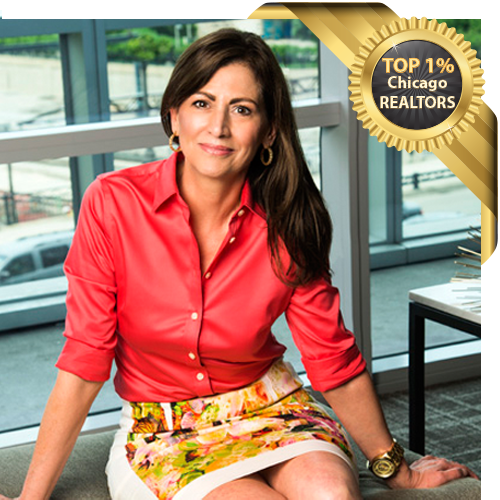 Debra’s 33 years of experience in real estate, combined with her extensive knowledge of and curiosity to explore Chicago’s 77 community neighborhoods, make her an invaluable partner to have by your side in the purchase or sale of your home. Debra’s commitment to excellence and a best practices approach has been proven unparalleled, time and time again. Debra’s passion forges the relationships she builds with her clients. At every step in the transaction Debra remains a fierce advocate, striving to exceed her clients’ expectations every step of the way. Customers, peers, and industry experts agree, working with Debra is an award-winning experience. Granted to a select group of agents rated highest in overall satisfaction by clients, peers, and industry experts. The Five Star Agent Award is bestowed upon real estate professionals who define and promote professional excellence and exceptional service based on research with peers, consumers, regulatory sources and professional firms with the real estate industry. A research and consulting organization helping luxury realtors with brand strategy and luxury intelligence to deliver objective and accurate insights into the behaviors and attitudes of affluent consumers. Top Agent Network (TAN) is a private, membership-based online communications system that allows access to the top-producing agents in local markets to share privileged, exclusive, non-MLS information. A network of successful REALTORS®, advancing women as professionals and leaders in business, the industry and the communities we serve. An advanced class of real estate finance, appraisal, investment, law, brokerage, management, development and economics. Special attention is given to the analysis of aggregate real estate and mortgage markets, to the individual transactions within these markets, and to the legal and institutional factors which affect these markets. Looking for a top agent in the Chicago area? Click here to learn more about Debra.